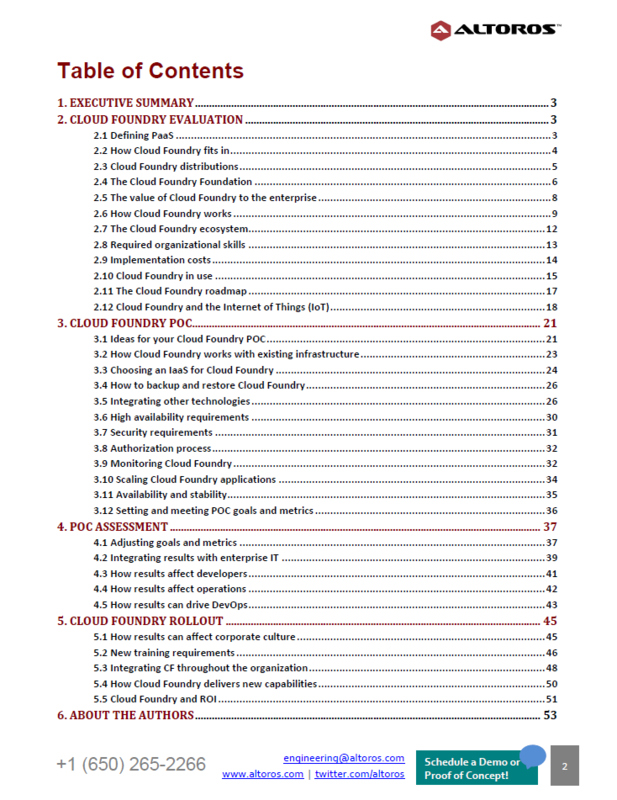 Download this 50-page guide to understand what you need for a successful CF implementation during all of the adoption stages. 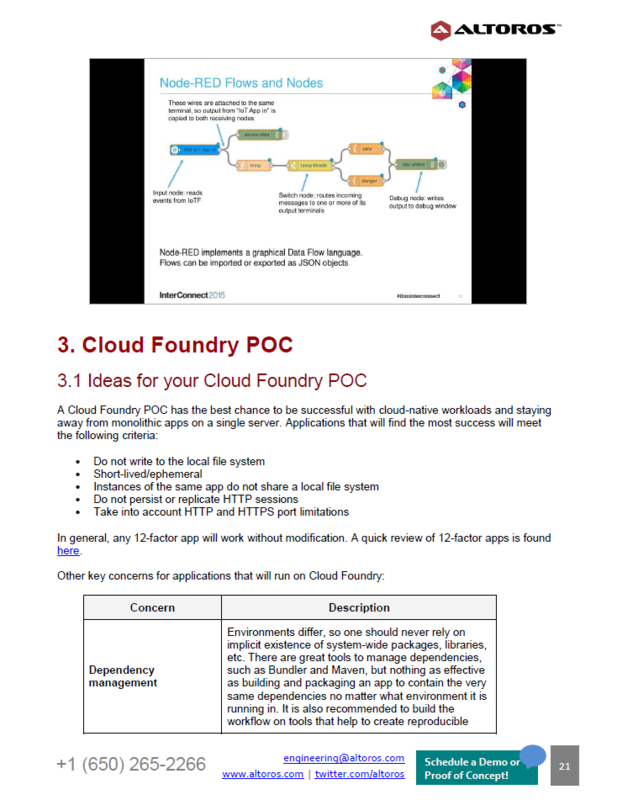 Adopting Cloud Foundry within an enterprise involves 4 major stages: CF evaluation, building a proof of concept, POC assessment, and a PaaS rollout. From this ultimate guide, you will learn about all of these phases in detail and see what cultural changes are needed to succeed. In addition to information on implementation costs and measuring ROI, this guide explores real-life examples of CF adoption—pioneered by Intel, GE, Cisco, AT&T, and other enterprises. 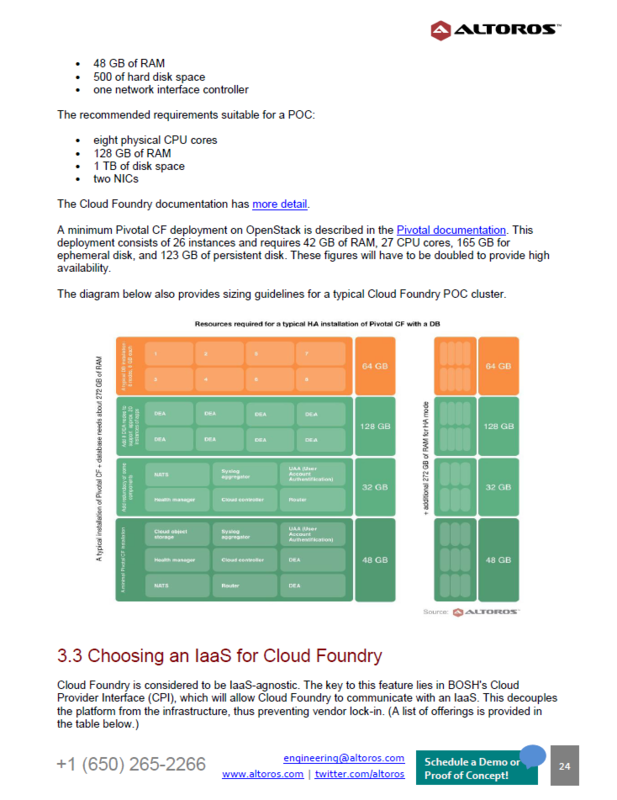 This architect's guide features an overview of Cloud Foundry components and explains how CF works with existing infrastructures. 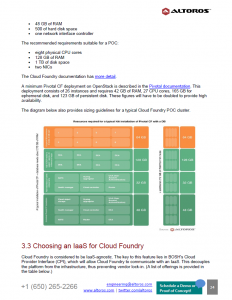 It laso provides a list of IaaS options, highlights requirements for a POC, covers integration issues, and much more. 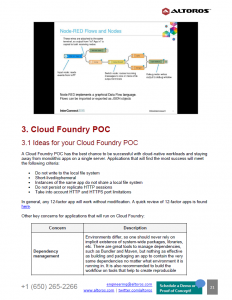 How to backup and restore Cloud Foundry? What are the HA and security requirements? How to authorize, monitor, and scale apps? You will find the answers to all of these questions in this ultimate guide.